I will be bringing my Wells College bookbinding class down to the Aurora Historical Society, and you are welcome to join us! "Robert LoMascolo will return to the Aurora Historical Society to speak briefly about bookbinding on Thursday September 20th at 7pm. Although few printers traditionally did their own bookbinding, the two crafts have long depended on one another. 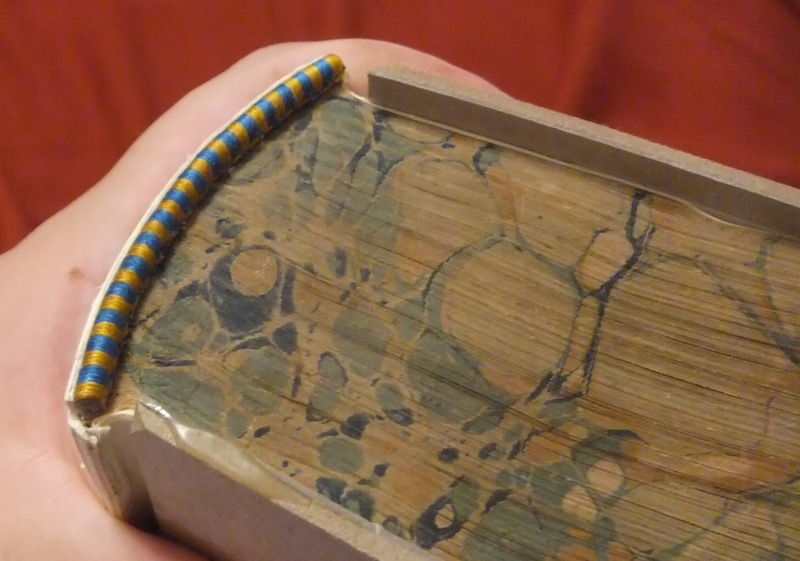 Robert, who also teaches bookbinding at Wells College, will bring a few examples to show how books were traditionally held together under the cover. Repair and care of old books will also be discussed, and attendees are welcome to bring their own old books that they may have questions about or would just like to share." The Aurora Historical Society is located at 371 Main Street, Aurora, New York 13026, on the courtyard with Vintage Lighting.